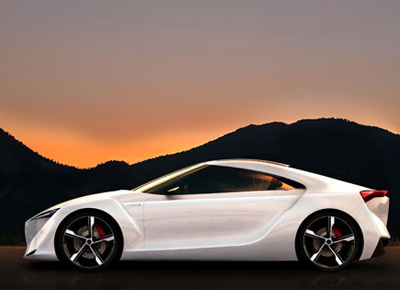 The Toyota FT-HS Hybrid Sports Concept is a sports car concept which was designed to fit into the gap in Toyota's model lineup left vacant since 1997 and the passing of the Toyota Supra. 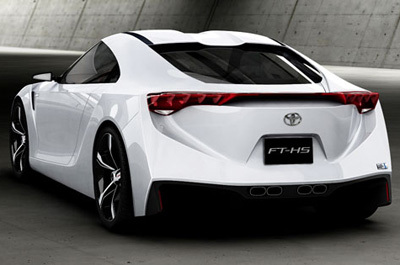 The Toyota FT-HS Concept could be powered by a 3.5 litre V6 working in conjunction with an electric motor, to allow for around 400 horsepower and performance figures in the 4 seconds to 60mph range. 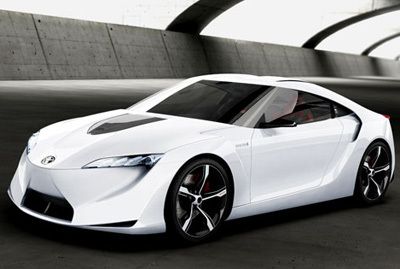 The 2+2 Toyota FT-HS concept has been in the works for around a year. 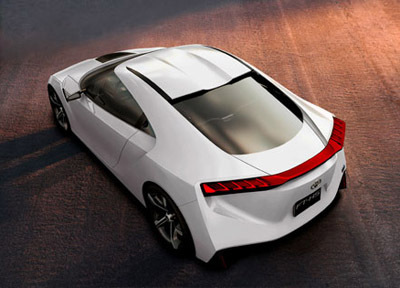 In that time Toyota's designers at Calty Design Research based in California have created an aggressive, angular design not unlike the Lexus LF-A concept from 2005. Although the appearance of the FT-HS Hybrid Sports Concept was apparently influenced by the forms taken by a downhill speed skier. The 'not-entirely-environmentally-friendly' (but it's a start) engine, is visible through the bonnet of the Toyota FT-HS Concept, similar to the shaker hoods popular on American hotrods. While the rear lateral air intakes above the rear wheels direct cooling air over the battery packs positioned in the rear to help with weight distribution. Another feature of the Toyota FT-HS Hybrid Sports concept is a retractable roof which can fold down into the space occupied by the rear seats, making it a two seater in this mode. Inside the driver orientated interior of the Toyota FT-HS concept are angular control surfaces echoing the styling of the exterior. The seats of the FT-HS concept consist of thin red-orange colored pads attached to the surrounding structure, and the hubless steering wheel features paddle shifters for rapid gear changes.